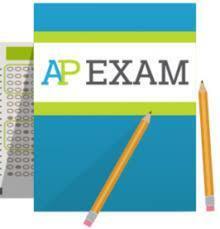 Students that have purchased/registered to take AP Exams must attend a Mandatory Pre-Id lunch Session. All sessions will be held during lunch in the Neher Auditorium, it is important to arrive on time. Pre-Id dates are: A-H, Monday, April 15, I-P, Tuesday, April 16th, Q-Z, Wednesday, April 17th. Make-Ups: Thursday, April 18th. If you have any questions, please see Ms. Noriega in the Counseling Office.